Watching a public beheading, Jalal (Sam Otto) begins to question Islamic State. For docudrama lovers like me, a new Peter Kosminsky production is always eagerly anticipated and the unfolding of The State over four consecutive evenings on Channel 4 last week made for a particularly intense viewing experience. 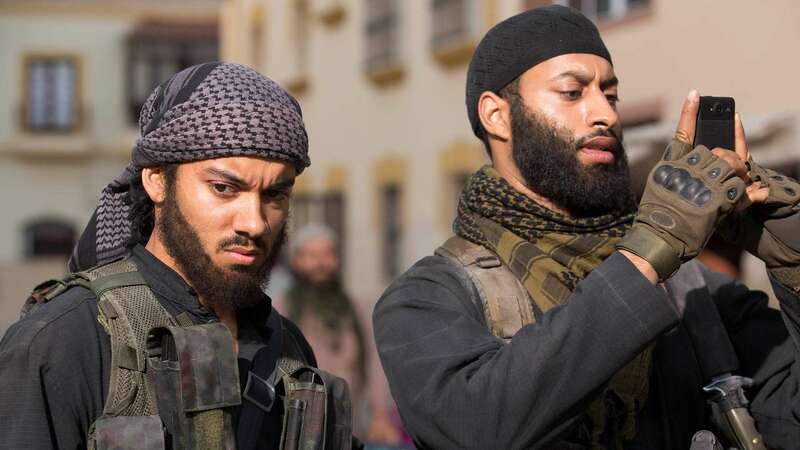 Like most of Kosminsky’s television work, The State is an exhaustively researched drama with a bold premise: four Britons travel to Raqqa to join the Islamic State, but soon discover that daily life in the caliphate is not all it’s cracked up to be by its online advocates. Although some of the new recruits remain true believers until the end, others are repulsed by the slaughter, slavery and torture that they witness. The State shows the essential hypocrisy of the IS demagogues, who rationalize their own viciousness and denounce all others as infidels. Indeed, as Hegel famously observed, ‘evil resides in the very gaze which perceives evil all around itself’ and in a drama that is very much about witnessing and looking, the recruits who resist IS must literally refuse this ‘evil gaze’: when Jalal attends a public beheading, for example, he averts his eyes at the crucial moment (see image above). Such refusals reveal the ambivalence and fundamental decency of some of the militants. After all, whatever the tabloid newspapers may say, not all of the young zealots who join IS are monsters. Many of them are less evil than misguided, duped by Internet propaganda, disaffected by capitalist modernity, and ignorant of any genuinely emancipatory perspective. Britz offered a powerful indictment of the British state, linking the political disaffection of young British Muslims to their experiences of Islamophobic prejudice and anti-terror legislation in the wake of 9/11. The State is more limited in its locational range and political scope: after an initial three-minute montage showing the recruits leaving the UK, the rest of the drama concentrates on their new lives in Syria. This surprised and slightly disappointed me, as I had been expecting the kind of interwoven ‘home and abroad’ narrative structure offered in Britz and some of Kosminsky’s other geopolitical dramas, such as Warriors (1999) and The Promise (2011). While Kosminsky’s depiction of the recruits’ new life in Syria is enlightening, I would have appreciated some exploration of the domestic experiences and political grievances that pushed these intelligent young folk towards the ideological abyss. The absence of such backstory makes The State, for all its contemporary relevance, a less satisfying treatment of terrorism than Britz. While Kosminsky does sometimes hint at the motivations of his central characters, there are rather a lot of unanswered questions at the end of episode 4. Shakira, for example, remains something of an enigma to the end. And while we might guess that he is attempting to atone for past misdeeds, we never discover exactly why a former British soldier, Abu Ibrahim Al-Brittani (Jack Greenlees), has joined the jihadists. As Alain Badiou points out in his little book The True Life, today’s Western terrorist rejects the main subject positions offered by liberal capitalism, namely, individualistic careerism and hedonistic, perpetual adolescence. However nihilistic it may ultimately be, jihadism promises young people an alternative set of values and the sense of social belonging and political purpose that so many of them find lacking in mainstream Western culture. Many recruits are driven by righteous fury at the barbarism of Western imperialism, but unable to see that IS offers only a mirror image of that violence. Some, like Shakira, seem to be motivated by humanitarian impulses. Still others are drawn to IS by the promise of romance: perhaps the drama’s most pitiful character is the naive teenager Ushna (Shavani Cameron), who dreams of marrying a heroic warrior and becoming ‘a lioness amongst the lions’. In an alienating society, some people, it seems, will go anywhere and do anything to achieve a sense of love and belonging. And The State shows just how warm and welcoming IS can be – initially, at least – towards its new recruits. Kosminsky’s style is, as ever, understated and effective here. The preponderance of following shots and over-the-shoulder shots allows the viewer to move with the protagonists, gradually discovering the horrors of IS from their perspective. And while the tone of the drama becomes progressively more sombre, there are some darkly droll touches throughout. The wall of the schoolroom in which the female recruits have their induction session, for example, displays a cheerful rainbow composed of brightly coloured strips of paper – a bitterly ironic symbol of hope for the future. The bright pink suitcase with which Ushna travels to Syria (the other, more practical recruits carry rucksacks) is similarly absurd, but serves as a touching reminder of the teenager’s childish innocence. Stephen Harper is Senior Lecturer in Media and Film Studies at the University of Portsmouth. He has published many articles and book chapters on film and television images of war, British television drama, and cultural representations of mental distress. His single-authored books include Madness, Power and the Media (Palgrave, 2009), Beyond the Left: The Communist Critique of the Media (Zero, 2012) and Screening Bosnia: Geopolitics, Gender and Nationalism in Film and Television Images of the 1992-95 War (Bloomsbury, 2017). 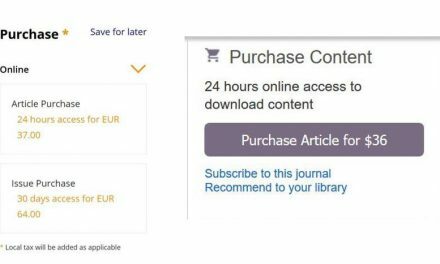 PreviousCfP: Media Industry Studies: Current Debates and Future Directions. London, Apr 18-20, 2018. Deadline: Sept 15, 2017.